The 2010s have been a dramatic period for most primary commodity markets. Producers suffered heavily as prices fell in response to new supply facilities going into production, juxtaposed against disappointing demand evolution from China in particular, marking the end of the most powerful and enduring commodity boom since the Second World War. 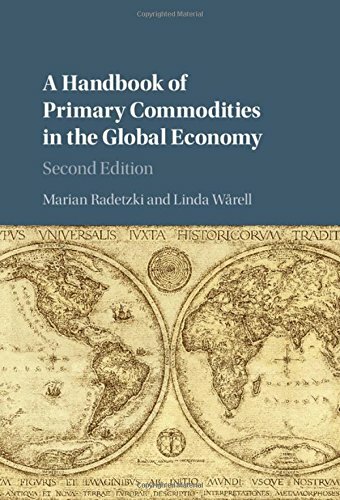 This book is a guide to the primary commodity universe, an increasingly crucial part of the world economy. In this updated edition, Marian Radetzki and Linda Wårell introduce and explain pertinent issues surrounding international commodity markets, including the importance of fossil markets among commodities, price formation, price trends, the shift in primary commodity consumption towards Asia, the increasing reliance on commodity exchanges, new relaxed attitude towards depletion, cartel action, and the revival of nationalism and state ownership. This is an accessible read for graduates, academic researchers, and professionals in the mineral and energy sectors. If you have any questions about this product by Radetzki Marian, contact us by completing and submitting the form below. If you are looking for a specif part number, please include it with your message.